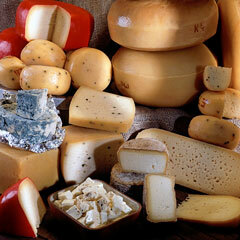 Cheese was developed as a way of preserving milk. This rather rustic food is made primarily from the milk of cows, ewes, or goats. Cheeses are available year round, and they make wonderful complements to a loaf of bread, a piece of fruit, or a bottle of wine. 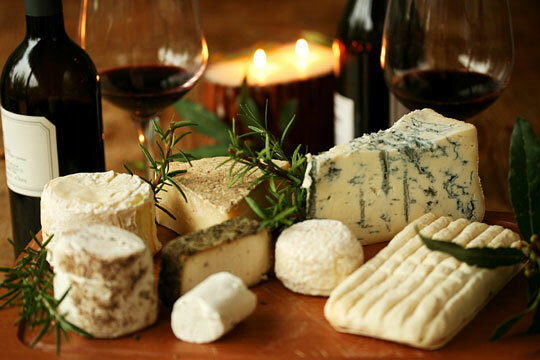 Cheese has been savored for centuries, from early civilization until today. People originally made cheese for personal use. Later, they set up village cooperatives in milk-producing areas to produce marketable cheeses. More recently, streamlined commercial dairies have been established to produce cheese in large quantities. Eating a preservative widely used in breads, baked goods, and cheese might trigger metabolic responses that are linked to obesity and diabetes, an early study suggests. Newsmax. Wednesday, 24 Apr 2019 21:05:05 EDT. You know it. You love it. But what is ricotta cheese, really? Let's learn about the fluffiest cheese in the land. Alex Delany. Bon Appetit. Wednesday, 24 Apr 2019 20:00:00 +0000. 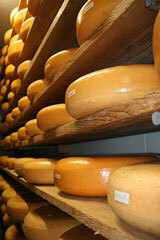 Cheese is made from raw milk, to which rennet is added. The rennet causes the milk to coagulate, and curds are formed. The mixture is put into cloth bags or molds and then pressed to extract the whey from the curds. Fresh cheeses are finished at this stage. However, other types of cheese are allowed to dry and form rinds. After being removed from the molds, these cheeses are salted or saturated with brine and then ripened for varying lengths of time in caves, cellars, or temperature-controlled rooms. 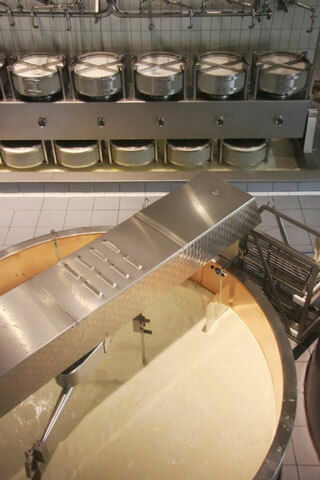 To produce a premium-tasting cheese, it is important to use fresh, rich milk. The milk from cows, ewes, and goats is richest when the animals graze on fresh grass during the Spring and Fall, and cheeses made from this rich milk are of the best quality. Some cheeses require ripening, and for these cheese varieties, a careful ripening process is important to produce a quality cheese product. Cheese artisans know when to turn the cheese, brush it, or wash it so that its unique quality and taste are brought out. Traditionally, each cheese has its own best season to be eaten, based on when the cheese has been produced. When cheeses are made with flavorful Spring milk, the best fresh cheeses, and those made from goat's milk, are available from April to June. Soft ripened cheeses mature, and are best, during the Summer months. Milk produced from animals grazing on grass after mowing gives cheese big flavor; these Fall cheeses are best from October to December. Aged cheeses are best savored during the Winter months, after they have had some time to ripen and mature. Whatever your cheese preferences, there are enough varieties of cheese to feast on all year round. When buying cheese, make sure it has been stored under refrigeration. The packaging should be intact, and the cheese or cheese packaging should specify a sell-by date. Artisanal Premium Cheese. This website offers many cheese varieties, some that are domestically produced and others that are imported from the villages where they are produced.